Employers quite frequently do seek legal advice on their obligation to give work/employment reference to their employees. While there is no general legal duty to give an employee (or former employee) any reference – positive or negative, recent case law suggests that there is an implied term in contracts of employment imposing a duty on the employer to provide fair and accurate work/employment reference for their employees. There is a potential liability for an employer who provides unfair or misleading reference, which can cause harm to the employee. Under common law, there was no absolute obligation on employers to provide reference to an employee but case law in the UK has developed a number of exceptions to the common law position. It would now appear that, in certain circumstances, an employee can require an employer to give a reference. UK case law suggests that it may be appropriate in some cases to imply a term into a contract of employment that the employer will provide the employee with a reference at the request of a prospective employer. The basis for this implied term was aptly stated in the case of Malik v. Bank of Credit and Commerce International SA (BCCI) (1997) UKHL 23 where the House of Lords held that Employers must take care not to damage their employees' future employment prospects, by harsh and oppressive behaviour or by any other form of conduct which is unacceptable today as falling below the standards set by the implied trust and confidence term. In Spring v. Guardian Assurance (1995) 2 AC 296, the plaintiff was dismissed from office by the defendant (an insurance company and hence a financial institution). He got another job which required a work reference from the defendant. The work reference given by the defendant was not favourable, described by the trial judge, Judge Lever QC, as the “kiss of death”. In consequence, the plaintiff lost the new job and so brought an action against his former employer on several grounds including negligent misstatement, malicious falsehood and breach of contract, but not defamation. An action in defamation (but not for the tort of negligence) would have entitled the defendant to the defence of qualified privilege. The House of Lords held that an employer who gives a reference in respect of a former employee owed that employee a duty to take reasonable care in its preparation and would be liable to him in negligence if he failed to do so and the employee thereby suffered economic damage. The House of Lords also held that an implied term of the contract existed between the plaintiff and the defendant to ensure that reasonable care was taken in the compiling and giving of the work reference, and that the defendant was in breach of that implied term. c. the fact that the employee cannot be expected to enter into a class of employment, except on the basis that the employer will on the request of another employer, made not less than a reasonable time after the termination of the previous employment, provide a full and frank reference to the employer. In another UK case, Bartholomew v. Hackney London Borough and Anor (1999) IRLR246, the Court of Appeal held that in giving a reference to a former employee, a former employer owes a duty of care to the former employee to provide a reference which is true, accurate and fair; fairness determined by having regard to the whole of the reference and the surrounding context, as a number of discrete statements, though factually accurate in themselves, could nevertheless read as a whole give an unfair or potentially unfair impression to a recipient of the reference. However, it is not necessary that a reference in every case be full and comprehensive. In TSB Bank Plc v. Harris (2000) IRLR 157, a reference provided to a potential employer for an existing employee which disclosed customer complaints unknown to the employee, was found to be a breach of the employer’s duty and was held to be a breach of trust and confidence to disclose complaints to others, if the employee was not given an opportunity to answer them. And in Cox & Cross v. Sun Alliance Life Ltd (2001) IRLR 448, the Court of Appeal made it clear that the question of whether an employer who provides a reference for a former employee is in breach of the duty to take reasonable care to ensure that the reference is accurate and fair will usually involve making reasonable inquiry into the factual basis of the statements in the reference. 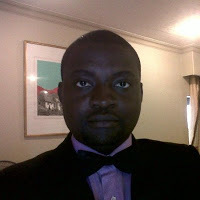 The take away from this case is that it is advisable for employers to confine unfavourable statements on employees to those matters into which they have made reasonable investigation and have reasonable grounds to believe are true; and where an investigation is discontinued, unfavourable comments should be confined to matters that were investigated before the employee’s departure. 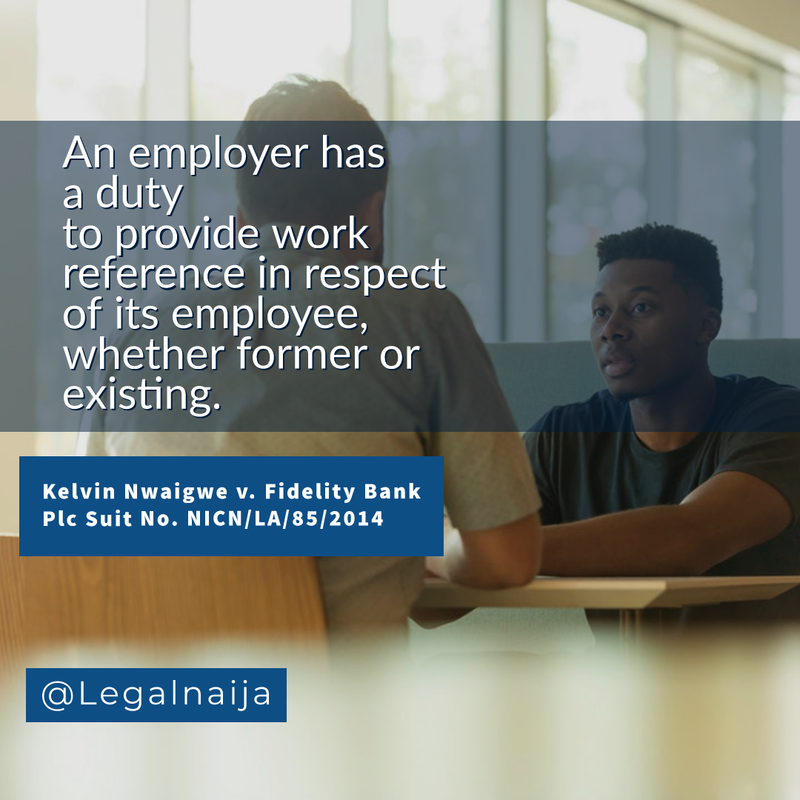 As though taking a cue from other jurisdictions such as the UK, the Courts in Nigeria (as in the in the Uwaigwe), have held that an employer is indeed obligated in law to provide an employee with a reference. An employer owes a duty of care against negligent misstatement i.e. not to mislead or misrepresent to the person (usually a potential employer or the employee) to whom the reference is provided. It is submitted that this approach accords more with best practice in labour and employment law. In conclusion, sometimes it is best for employers to adopt the position of just providing a statement of service confirming an employee's length of service and not commenting further. This is known as the “no comment” reference. The other option is to provide a "full disclosure" reference where the employer provides all the relevant details of the employee, including appraisals and potentials, while leaving it to the potential employer to draw its conclusions. An employer cannot be held liable for defamation in providing this type of reference as long as it is made without malice and the information is based on credible evidence. However, it is safer to provide information based on performance appraisals that were counter-signed by the former employee. This will prevent potential liability for negligent misstatements.